From his early days as a film editor at RKO studios, where he helped Orson Welles shape Citizen Kane, to his success as a director and producer of musical blockbusters of the 1960s, Robert Wise had a long and illustrious film career. Unlike contemporaries such as Alfred Hitchcock, John Ford or Howard Hawks, however, Wise's films lack any clearly discernible characteristics to signify his work. There are few striking camera angles or visual flourishes that might distract from the primary obligation to present the story. And like Hawks, Wise never specialized in one or two genres, but brought his directing skills to all manner of films. His work as a director resists auteur categorization, and that is a chief reason why some critics have been unduly negative in their consideration of his work. In The Films of Robert Wise, Richard Keenan examines the nearly forty features that represent the director's career—from Curse of the Cat People in 1944 to A Storm in Summer (2001), the only television production Wise ever directed. Keenan offers a reappraisal of Wise's films so that the true quality of his work can be better appreciated. 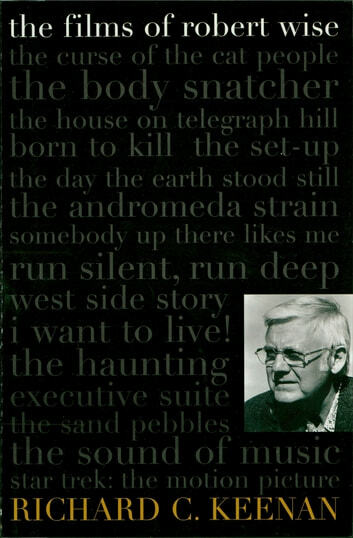 Keenan argues that if there was a flaw in Robert Wise as a director, it was that he lacked the ego and temperament of the artist, which was not necessarily a flaw at all. Indeed, Wise was a conscientious craftsman who saw his work not primarily as a vehicle for his own ideas and visual style, but as an opportunity to present narrative that—quite simply—engages, informs, and entertains. It was this perspective that helped produce a number of memorable films over the years, including the gritty noir Born to Kill, the one-two punch of The Set-Up and Somebody Up There Likes Me, the sci-fi prophecy The Day the Earth Stood Still, and the gripping indictment of capital punishment, I Want to Live!—classics all. Wise also won a pair of Oscars for two of the most memorable—not to mention successful—musicals of all time: West Side Story and The Sound of Music. Drawing on more than 30 hours of interviews with Wise—as well as additional interviews with a number of his collaborators—Keenan offers a welcome reassessment of the director's work. In his analysis of each film, Keenan reveals both Wise the craftsman and the artist. 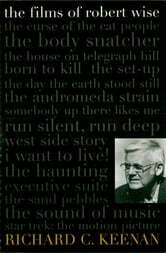 In doing so, The Films of Robert Wise finally confers upon this underappreciated director the recognition he deserves.